I began compiling this information back in April while on a trip with my husband and friends. I will update this list and the upcoming lists for Marathon/Key Colony Beach, Islamorada and Key Largo as needed. Grunts – 3-6 Daily – Discounts on some drinks and beer. 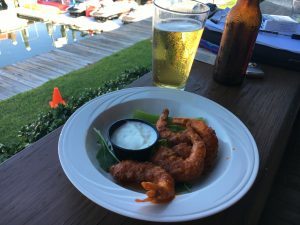 Sand Bar Grill – 12-4 (M-F) – 1/2 price hurricanes, margaritas, well drinks, house wine and domestic draft Late Night Happy Hour midnight to close 2 for 1 on anything.